Ultimate competition and ultimate thrills! These customizable R/C cars are built for power and built to compete. Create your vehicles and a challenging dome and get ready for super competition. Dramatic design and a sense of power ramp up the thrill of racing - and crashing. 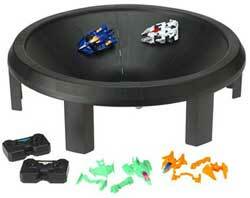 This awe-inspiring set brings new excitement (and incredible value) to the R/C category. This is the toy that can really read your mind! Based on the word game 20 questions, players think of an object and the handheld unit will ask twenty questions that can be answered with "yes", "no", "sometimes" or "don't know". The computer will use its powerful artificial intelligence to guess the answer with amazing accuracy! The programmed answers also have a sense of humor. Truly one of the most innovative products of the year. Requires 2 x AAA batteries (Included). 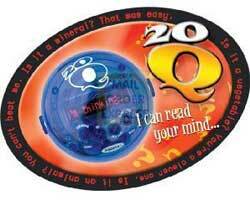 **Special Offer: Get this 20 Questions handheld game for free when you buy the 20Q Challenge game.